It has been almost a year since that frightful, terrifying morning. The day we thought our son was dying on us. 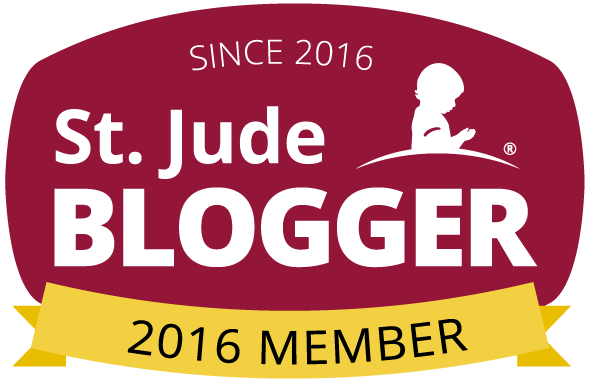 It was a feeling of panic and helplessness that no parent should ever experience. 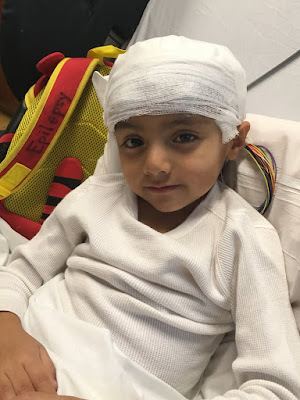 You see, there are many types of epilepsy out there, and on that morning, that I have a difficult time looking back on, that’s what my son, my completely healthy, normal, active 4-year-old son at the time, had. A seizure. I didn’t know it was a seizure. All I knew is that he wasn’t himself and something was terribly wrong. He wasn’t responding to us, his body went limp in my arms, and he was just staring off with his eyes and head deviated to one side. He became incontinent, started vomiting, and still had no reaction to what was happening. His little heart was beating so fast. We had no time to waste. We rushed him to the children’s ER where they ran bloodwork, got an IV in and ran all sorts of tests. You know things are serious when there was no waiting in the waiting room. The nurses took him in right away. Being a nurse, I knew this was bad but was also relieved he was getting immediate attention. He slowly woke up and was himself again after a few hours. We later left the hospital with no answers. Just to follow up with his pediatrician. So we did. Then we met with neurology. He had an EEG (Electroencephalography) done. It is a monitoring method to record the electrical activity of the brain. Finally, we had an answer. Panayiotopoulos Syndrome. What, now? Never heard of that, and that was a seizure?! Here goes my research. I’m a nurse, and even I didn’t recognize that as a seizure. Here’s where epilepsy awareness comes to light. We have to learn more and be aware and help raise money for a cure. I learned that there are infants, kids, and adults with epilepsy that will not grow out of it and will need lifelong medications and therapy to live with it. In our case, we were blessed with a minor form of epilepsy, and after doing my research on it, I learned that my son is a textbook case of it. He will eventually grow out of it and he will only need medication as long as he is seizure free for two years. When he has seizures, it is very mild, even though he gets very sick after, but it’s for a short time. If you ask me, we have been blessed that this is all he has. Others are not so lucky. My husband and I even discovered a Facebook group of parents who have children with this exact syndrome our son has. We were blown away at how many group members there are from around the world! It is one thing to have the love and support from family and friends, who to those that have been there for us have been nothing but amazing offering help, but it’s another thing to be part of a group who completely understands your fears and concerns. 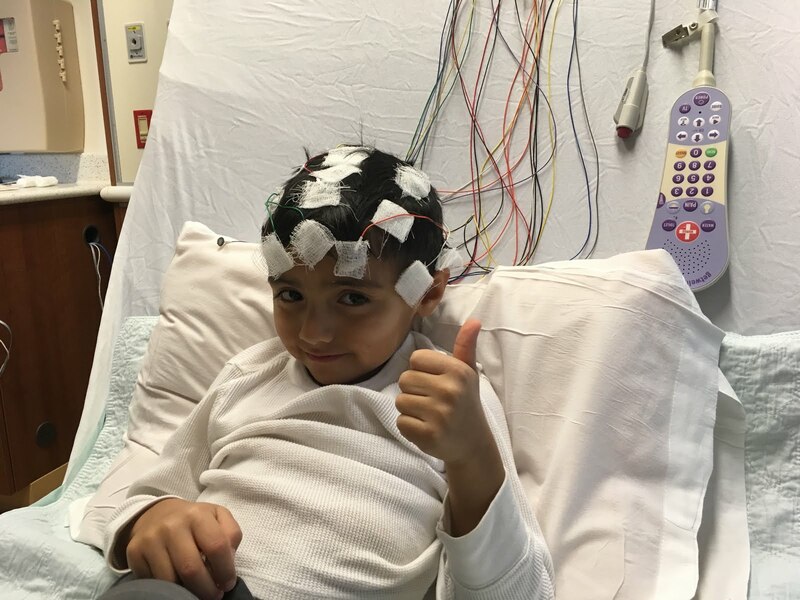 Here we are today at his follow up EEG looking at how his brain is responding to the medication in comparison to his first EEG. The day after Thanksgiving. Not exactly how we want to spend this holiday week, but it needed to be done. You see, at his first EEG both my husband and I were there but only one of us could stay with him during the actual test and we didn’t know that until it was time for him to go in. This broke my heart, and I know it broke my husband’s also not being there with him. He wanted me to be the one in there with him. He waited in the waiting room and I hated leaving him there at a time when we had no idea what was happening to our son. This time around we are in a hospital room admitted at the children’s hospital and this EEG is a 4-6 hour test where any seizure activity will be captured, and we can both be there with our boy. My husband is off from work on Fridays and it is difficult for him to take any time off. He has had to leave us many mornings to go to work after our son had a seizure and I know that broke him. We also took advantage of the holiday so our son didn’t have to miss school, and we can have a few days to rest after all of this. We need our son sleep deprived for this test, and guess what that means...we’ll be sleep deprived as well. I’m the most nervous I’ve ever been since that first day our lives were changed. He has been doing better since starting his daily seizure medication which we have to be sure he gets twice a day. Plus we have to be sure we always have his emergency medication whenever we are out. Thankfully, we have only had to use it once since being diagnosed. Well, he made it through the whole summer without a seizure. Then in October, he had a breakthrough seizure then another one just a couple weeks ago, which is why today is so important to see what is happening in that brain. It does not get easier seeing him go through this. Unfortunately and fortunately I have been there for every seizure he has had. In between vomiting (his type of seizure triggers increased saliva production that causes him to vomit for a couple hours postictal) after his most recent seizure, he looked up at me with the most saddest eyes I’ve seen and in between sobs, he asked, “Mommy, when will this end?” With every ounce of strength and courage I had left in me, I looked him in the eye and said, “Soon, baby”. I have faith it will all be okay. He is strong. I am strong. I will continue to advocate for him. Together we will continue to fight and learn more.